Warehouse/Manufacturing Facility. 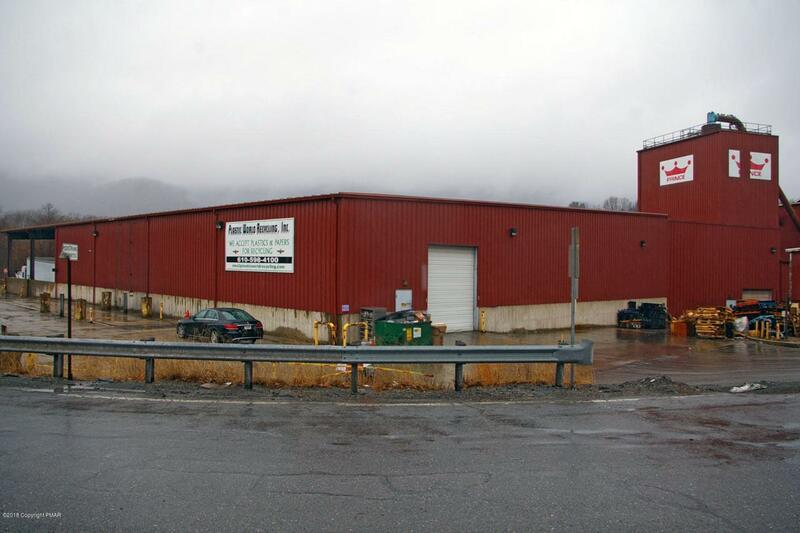 Versatile industrial property located in the Northern Lehigh Valley area of Eastern Pennsylvania. Property features several interconnected and freestanding buildings on nearly six acres of industrial/commercial zoned land. Features include: Approximately 52,000 total square feet of manufacturing and/or warehousing space. Varying ceiling heights of 20'-24' and up to 56' in tower. Approximately 24,000SF constructed in 2000. 5 loading docks (2 covered), 13 Drive-in overhead doors, 80' Truck scale, 5,900SF office building with locker rooms and shower facilities.Full central utilities; water, sewer and natural gas. 3-Phase Power, 1600 AMP minimum. Clean Phase 1 report.750'+ of State Route 248 frontage5 miles from I-476 and RT 209 Interchange. REF#2597-ID.